I love the idea of adding simple embellishments to staple clothing pieces to make a statement. And fringe, especially, has been on my list as of late. Don’t get me wrong, patches and embroidery projects are good options too. But I thought fringe would give this stiff jean jacket a lot more movement. And now that’s it’s finished, I want to fringe ALL of the things! You really can’t even tell that the fringe was added on after the fact because it’s tucked into the seams. 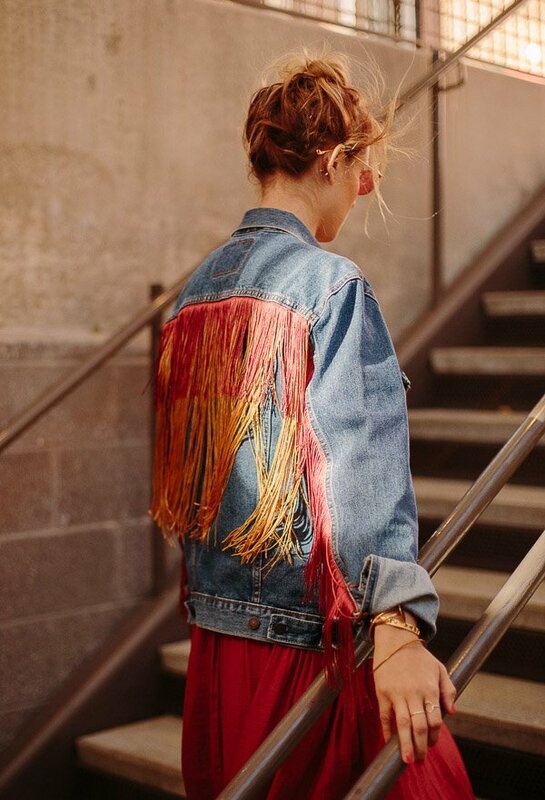 Click through for the simple sewing hack that made the fringe look seamless with the jacket. Choose a thread that matches the thread of the jacket. I used denim thread (this exact one), which is the yellow thread commonly used on jeans. It matched my jacket perfectly. 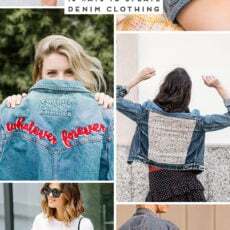 Typically the seams of jean jackets (and regular jeans) will have a flat felled seams. 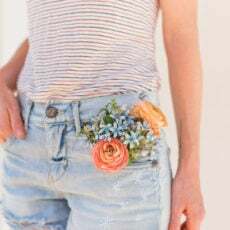 Which means you can open up just one side and easily fit the fringe underneath, then stitch it back up for a clean look that will look like you bought it that way. 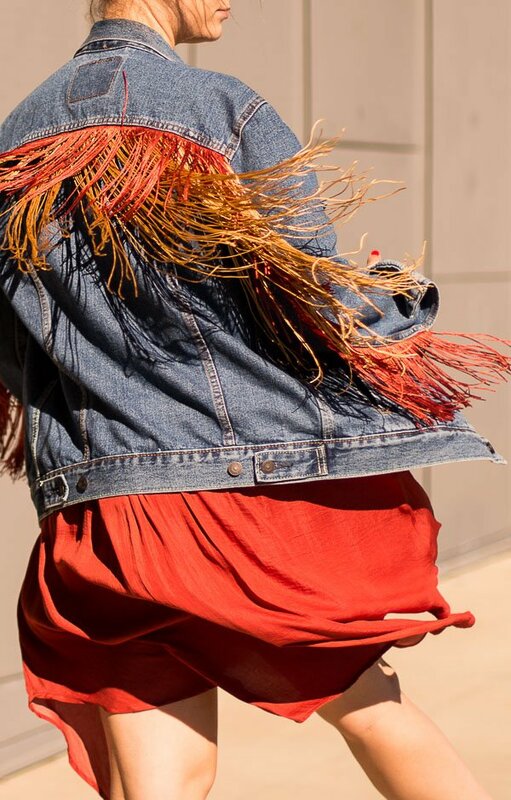 Measure and cut the fringe for each arm and the back panel of the jacket separately (so you’ll have 3 pieces of fringe). Set aside. Next, use a seam ripper to carefully open one side of the flat felled seam. You want to to open the seam closest to the edge NOT both stitch lines. Insert the fringe under the opened seam. pin it to keep in place / prevent from moving around. Then use your sewing machine to stitch the seam closed again (with the fringe sandwiched in between), trying to hit on top of the old stitch line as you sew. Basically you’re recreating the original stitch line to make make it look finished again. Do this with each arm and the back panel separately. 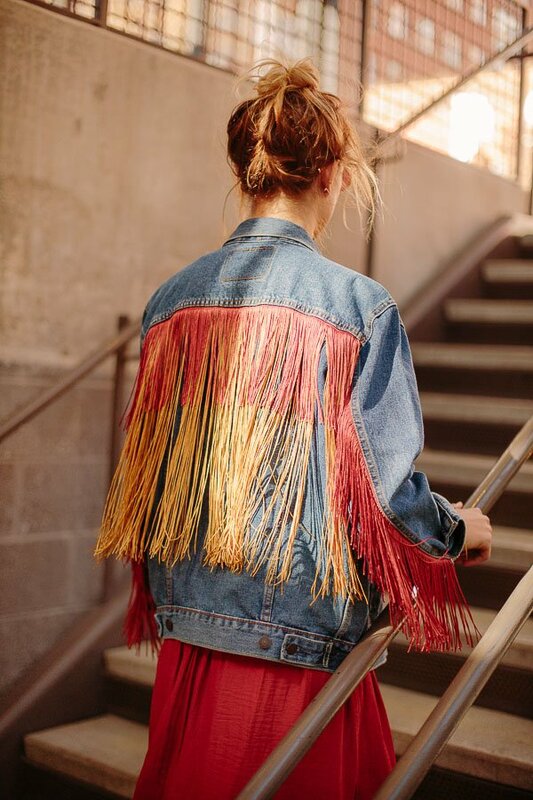 We added a second layer of fringe of a different color fringe to the back panel to make it stand out. And kept the arms just one fringe color. Note: You can definitely attach the fringe straight to the jacket without opening up the seams if you want, BUT I think it looks a lot better to have a clean line. What do you think of the finished jacket? Would you ever try something like this? How cute would this be as a kids jean jacket too? If I had a kid, I would totally make one of them one of these! This jacket is absolutely awesome and stylish!! Well done! This is genius! I love love adding stylized embellishments to clothing. I painted a pair of jeans a summer ago and they have become my very most favorite jeans ever. Love that Amy. I bet your painted jeans look great! I love that jacket its so beautiful! Thanks Pink Pineapple! It was a fun project to work on. I love, love, love this jacket. I want to go home and sew right now. It is super cute and looks amazingly easy. However, I know sewing those thick jean seams can be challenging without a strong machine. Good thing I have my trusty sturdy Kenmore for just such a thing! 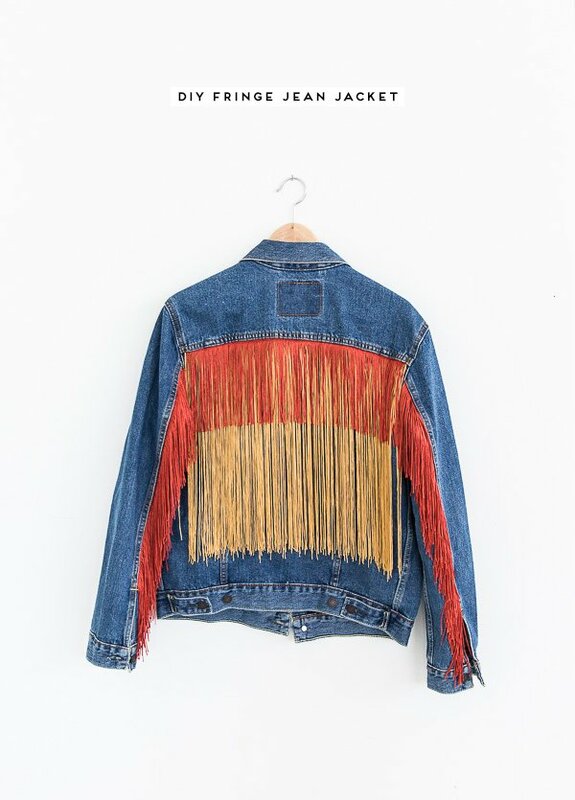 I like how you said that you could use this kind of a fringed jacket for kids! My wife loves to sew and she always likes to try new things when she does it as well. Maybe I’ll have to look for some chainette fringe and some jean material to see if she would like to try making a jacket like this for one of our daughters. What a gorgeous jacket! Well done. Can I feauture you? To be honest, I’m in love with the idea of adding simple embellishments to my clothing so I might buy some chainette fringes and add them to my jacket as well. I’ll try to recreate the original stitch like you did so that it doesn’t look noticeable. 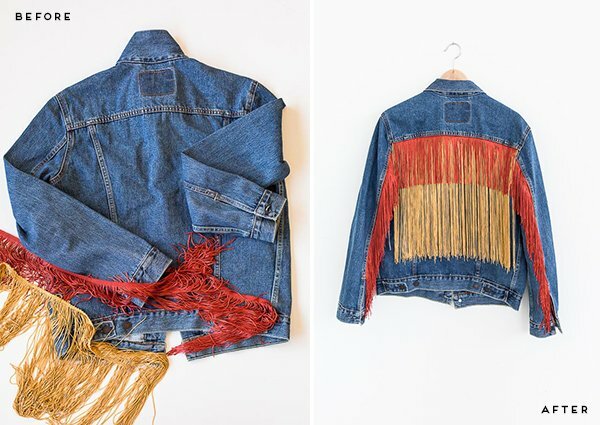 I like the idea that you said that it can be used for kids jean jackets as well so I might try it on my son’s jacket since he likes fringes on his clothing.